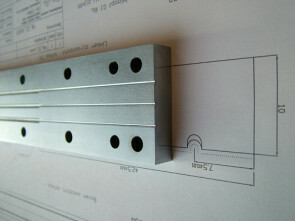 vDijk Pultrusion Products (DPP BV) was founded in 1999. At our production location in Tilburg (NL), our high-grade micro-pultrusions are produced and shipped to an international clientele. Throughout the years, the company has gained extensive expertise in many areas of application. In 2019, DPP BV was acquired by S&P Clever Reinforcement Company AG a wholly owned subsidiary of Simpson Strong-Tie Inc.. S&P Clever Reinforcement Company AG is a leading manufacturer of composite products. Originally, Simpson Strong-Tie and S&P Clever Reinforcement have the building industry as their principle sales market. With the acquisition of DPP BV, the company has the ambition to expand its possibilities to the OEM industry. For DPP BV and her customers, the acquisition provides significant opportunities to facilitate the growth in the FRP market. Founder and owner of DPP BV, Maarten van Dijk, is specialised in plastics technology and mechanical engineering, a golden combination for DPP. With experience in plastics technology and, more specifically, in the pultrusion process, and with knowledge of mechanical engineering, DPP develops its own production equipment. This equipment is completely tuned to the efficient production of high-grade carbon and glass-fibre profiles. DPP continuously looks for ways to further optimise its products and processes. The result is a competitive product that, through the use of high-grade raw materials (usually carbon fibres combined with epoxy resin), has excellent mechanical, chemical and thermal properties. Moreover, the material has interesting electrical and magnetic properties. Another important property is that our standard products can be glued excellently. DPP has a standard range of pultrusions, such as round, half-round or square rods and square and round tubes, strips and rectangular, trapezium or elliptical profiles. Our machines are capable of producing very small diameters. The massive, round carbon profiles can be supplied from stock from a diameter of 0.28 mm and the thinnest strip in our standard product range is 1 * 0.12 mm. The carbon profiles in our product range are supplied in lengths of 50, 100 and 200 cm. On request, we can also supply other measurements, ranging from a few millimetres to theoretically infinite on rolls. Many of our activities consist of the development and production of custom-made orders for our clients from different disciplines. For example, geometries with special diameters, the use of special raw materials, special lengths or additional finishing. By now, DPP has gained considerable experience in custom-made production for many national and international clients, e.g. in aircraft construction, mechanical engineering, medical industry, model building, electrical engineering and offshore services. Flexibility in what we can offer, the speed of our production, the quality and accuracy of our products and our competitive prices are greatly appreciated by our clients.